ASC Warranty is the largest, best-in-class provider of used vehicle service contracts nationwide. ASC offers drivers like you a “No Worries, Just Drive” experience by giving you the confidence, freedom and reliability you need when making a vehicle purchase. 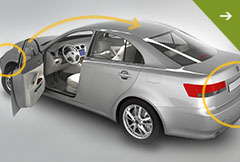 Factory Type Coverage offers so much protection that it’s easier to explain what it doesn’t cover. All parts of a vehicle covered under the manufacturer’s basic factory warranty, except for parts specifically listed under the “Items Not Covered” section of the contract, are covered. It’s the ultimate in worry-free protection. 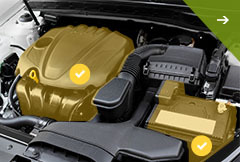 Drivetrain “Plus” Coverage covers the parts and systems explicitly listed on your contract. If a component is included in the plan you have selected, we will cover the cost of parts and labor so you can get back on the road quickly.